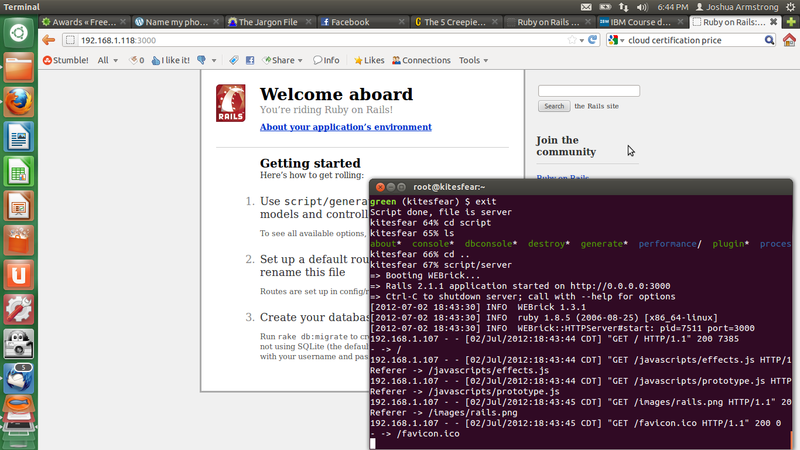 So I’ve decided to learn Ruby on Rails. I’ve so far gotten a new generic template up and running on my server. Don’t bother trying to hit this URL from your browser – it won’t work outside my LAN. This entry was posted on July 2, 2012, 6:49 PM and is filed under Internet, Technology. You can follow any responses to this entry through RSS 2.0. You can leave a response, or trackback from your own site.